We are thrilled to introduce our stunning new Attlee vacation rental to the London Perfect family! 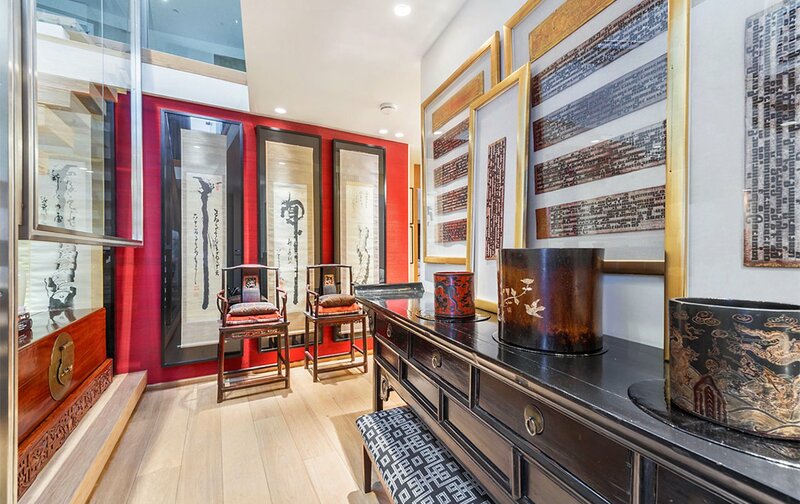 This stylish, 3 bedroom mews house, located in the fashionable enclave of Kensington, is a truly unique and special property. We’re just a little more excited than usual as the Attlee really does have the ‘wow’ factor from the moment you step through the door! 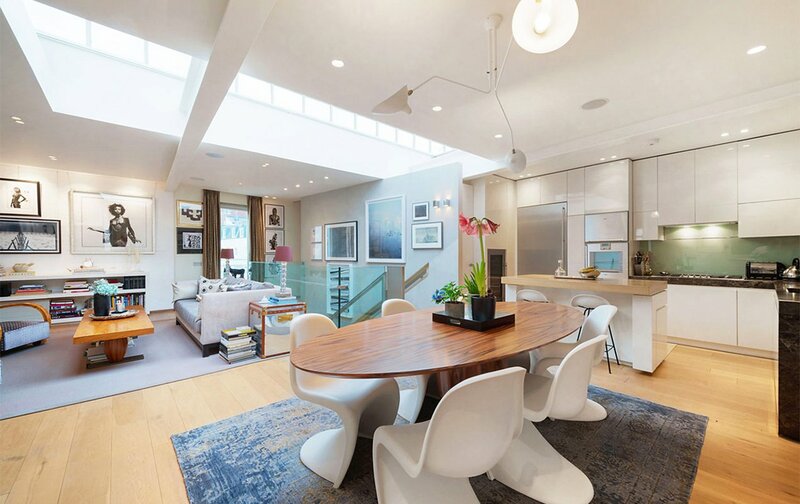 You will immediately notice the wonderful natural light streaming through the retractable skylight, which is a unique feature of the property. 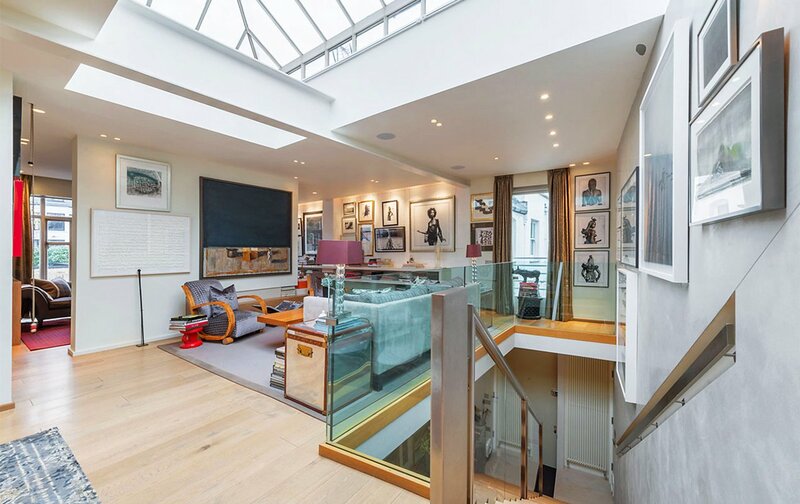 You’ll also be impressed by the sheer amount of space, as this mews home is arranged over two floors, with 3 gorgeous living areas, a wireless Sonos digital music system, as well as an in-house gym! For your comfort, you also have access to Sky TV channels in the media room television, which is the perfect space to relax and unwind. The open plan kitchen has been finished to the highest specifications, and is the perfect area for socializing with family as you cook up a delicious meal and discuss the itinerary for your trip. If you are an avid foodie, you will be delighted with the fabulous choice of food markets around the city, which offer ample opportunity to cook freshly prepared meals in the comfort of your own kitchen. As you’ll discover, the kitchen is fully-equipped with top-of-the-line appliances, including a stove top complete with five burners, an oven, microwave, a large American style refrigerator with a separate freezer compartment, dishwasher, as well as a Nespresso machine – always much-needed for that delicious first coffee in the morning! 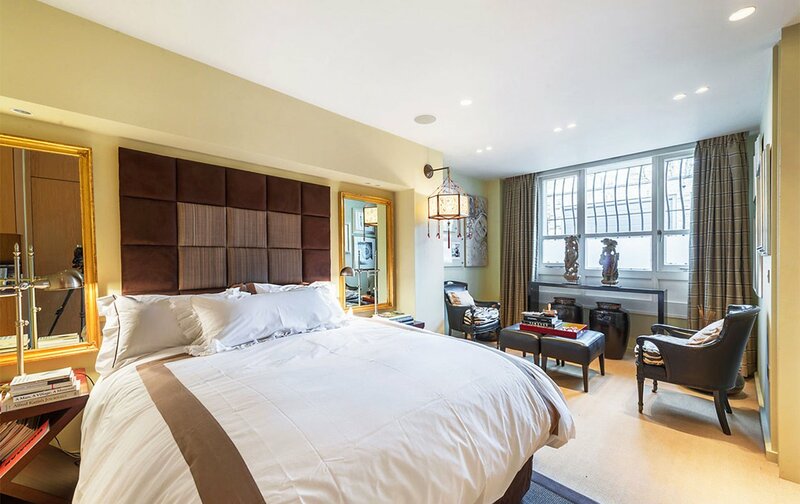 When the time comes to retire after a busy day of sightseeing, you have three stunning double bedrooms in which to choose. If traveling with family, you’ll have to ensure you nab the master bedroom quickly, with its luxurious King bed and en-suite equipped with a bath and separate shower, double sinks and a toilet. 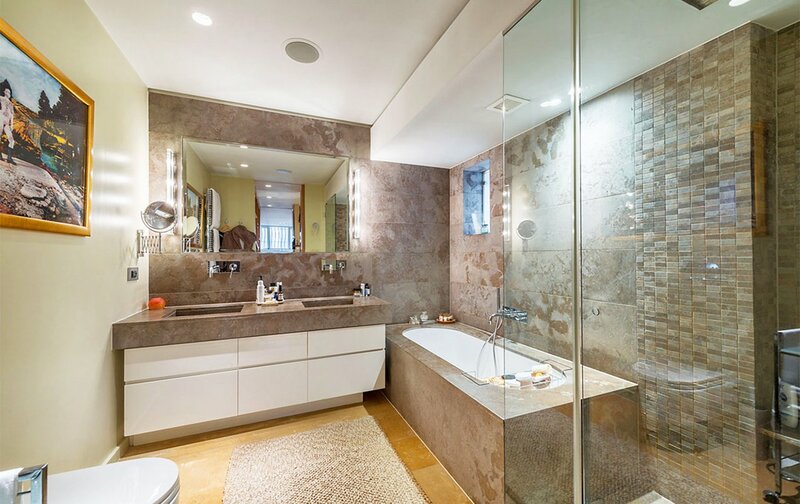 We think you’ll also be very pleased with the quality of the further two rooms, as they also have en-suite facilities. Bedroom two has a bath as well as a shower over the bath and a toilet. Bedroom 3 has a shower as well as toilet facilities. When traveling with family or friends, having those en-suite facilities ensures a very comfortable stay for everyone. Another great feature of the property is the delightful outside sitting area, which is the perfect place to enjoy a leisurely breakfast, or unwind with a glass of wine after a busy day sightseeing. 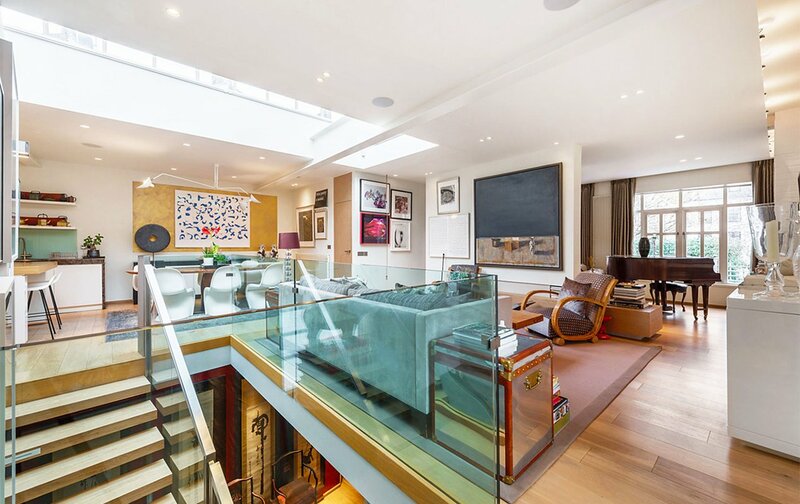 Outside space in London is at a premium and always much sought-after. 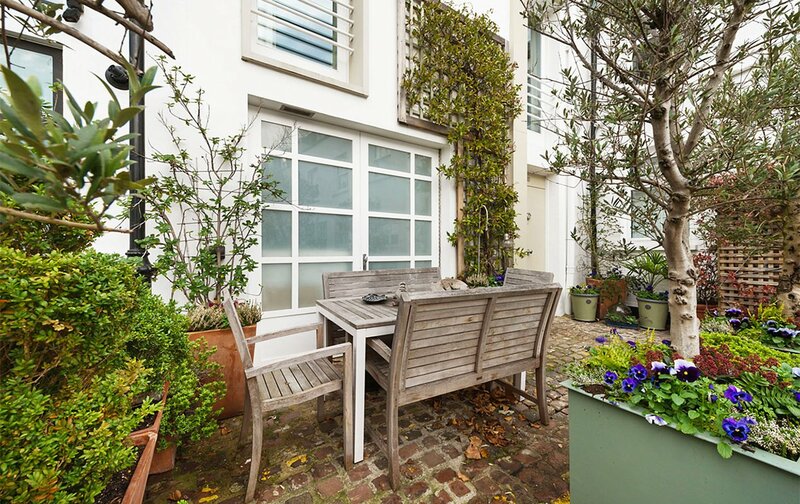 As we’re now into the warmer, spring months, we hope you will make plenty of use of this gorgeous outside space. 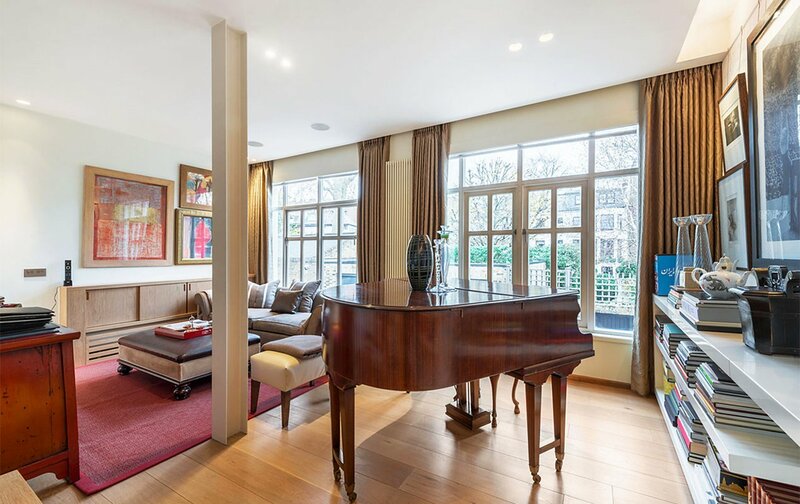 The Attlee mews home is such a delight, it will be hard to pull yourself away, but when you do, you are in one of the most exclusive areas in the city. You are close to the fashionable hub of Kensington High Street, as well as the beautiful open spaces of Kensington Gardens. If culture is at the top of your agenda, you’re in for a treat with Museum Row having the world-renowned Victoria & Albert Museum as well as the Natural History Museum. It’s the perfect time to book your next vacation with us as we’re currently running our exciting Bloomin’ London Sale – and it’s not to be missed! You can make great savings of up to 20% off one of our gorgeous apartments between May 1st – 31st 2017. Our friendly reservations team are on hand to assist with any questions you may have, and as ever, look forward to welcoming you to London very soon! 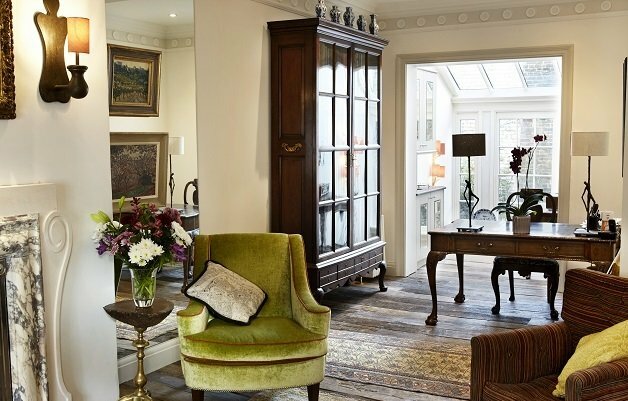 PREVIOUS: Book a Last-Minute Mother’s Day Stay and Save Big During our Bloomin’ London Sale! Posted on Thursday, April 27th, 2017 at 1:33 pm in Apartment Rentals. You can follow any responses to this entry through the RSS 2.0 feed. You can leave a response, or trackback from your own site. 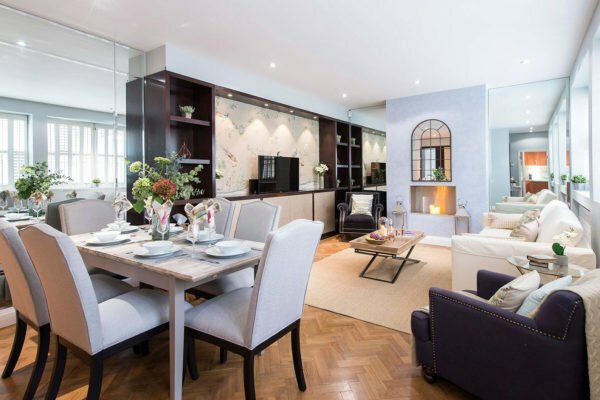 Introducing The Stunning New Rosebery Apartment The Eldon: Our Gorgeous New Mews Home In Kensington Long-Term Stays At The Stunning Austen Rental Be the First to See the Stunning New Wellington Rental!